My boyfriend left when I was pregnant and went on to get married and have two kids. He lives in another state and has never tried to meet or communicate with our son in any way. Talking to my child about his absent dad is a pretty regular conversation, so I'm always ready to answer tricky questions around each fatherless Father's Day. My son didn't really notice his father was missing until he started preschool and noticed moms and dads were picking and dropping kids off. For him, living with a sassy single mom was all he knew. Plus, he has an amazing Poppy and two cool uncles. Since he never met his father, there was no father to miss. "A child will begin to notice they don't have a dad around age 3 when they begin to notice the world around them is not just about themselves," says Darby Fox, child and adolescent family therapist. "When the child is just 3 years old, it is good to let them ask questions about the missing parent. But when the child is a little older, 5 to 6, if they haven't asked, it would be important to give them some information. In general terms, say every family doesn't have a mom and dad at home. Explain there are many kinds of families." My son's father was a high school, college and professional track star. I enjoy jogging around the high school track with my son Jack on the weekends. It's an excellent place to talk about his dad in a positive way, now that he's older—nearly 8. And I find books are a great way to explain and demonstrate modern families in all shapes and sizes. Of course, conversations will evolve and change as he grows older. "The way for a mom to explain an absent dad is really situation by situation," says Darby. "The mother wants to tell where the absentee parent is in general terms." She says answer your child's questions honestly but try to refrain from judging the absent parent. "The child will have their own ambivalent feelings, and they will also feel inadequate about the situation, so be careful about their feelings," Darby says. 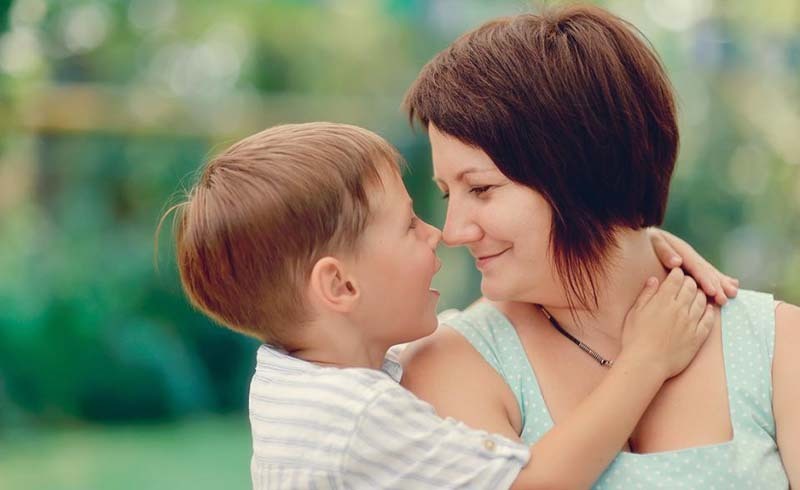 And when your child is old enough to make their own decisions, Darby says let him or her—following these tips: "It is important in this situation that your child makes a choice about the kind of communication they want to have with the parent. It is only harmful if you force them or the child continues to write or call and receives no communication from the parent. If this occurs, explain that you are hesitant to put the child in a situation in which you feel they are being mistreated and you suggest they stop." As much as a mama bear might want to scream at the absent parent, Darby says chill out. "It is tricky for a mother's suggestions to be taken from an absentee parent. The best approach would be to explain that your child has asked about them or expresses wanting to have more contact with the missing parent. Suggestions that they are mentally harming the child will likely be met with hostility and denial," Darby says. And if dad prefers to remain MIA, it's his loss, but Darby says it's important to find positive male role models for your child to bond with, such as coaches, teachers or family friends. And she suggests to let your children have a relationship with them that is outside yours. Darby says it is also important that kids figure out that other people care about them and expect certain behavior from them regardless of what may be missing in their life. Remember as a single mom, you can be a tremendously positive role model and teach your child he is accountable even if one of his parents was not. "[A single mom] needs to model the behavior she is asking her children to exhibit. She must provide a nurturing, loving, yet structured household," says Darby. "Even if the mother feels guilty about the other parent's behavior, it's important that she set rules and standards that she expects her children to uphold." Happy Father's Day, single moms. You are pulling double duty, and you're awesome.